A quick look now at some of the other aircraft. 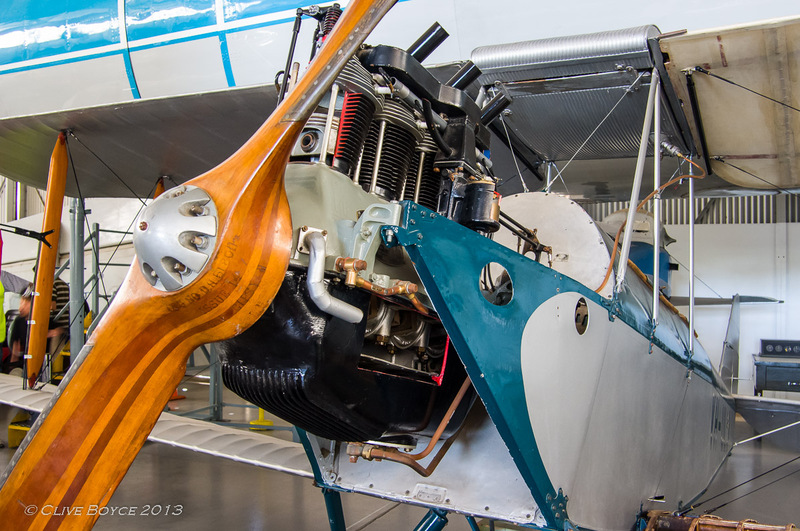 This is a close up of a De Havilland DH-60 Moth. The DH-60 Moth was the pre-cursor aircraft to the famous Tiger Moth, and was De Havilland’s highly successful attempt to build a cheap, easy to operate private plane. The type was first flown in 1925. This engine has been partly cut away to reveal some of the inside workings. This Supermarine Spitfire Mk V (Reg A58-146) was flown in New Guinea by the RAAF during World War II. After crashing in 1943, it was left in New Guinea, forgotten until found in 1971 by Adelaide identity Langdon Badger. 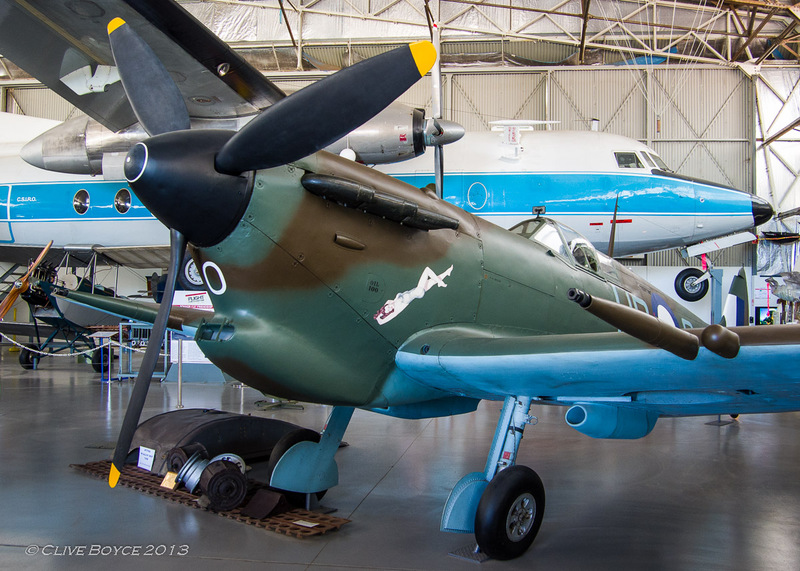 In 1973 he had it shipped to Adelaide, and after four years of restoration, Langdon displayed the Spitfire at his Adelaide home in Unley Park. In August 2001 the aircraft was put on display in the museum but remains in the ownership of the Badger family. De Havilland DH-100 Vampire (Reg A79-202). 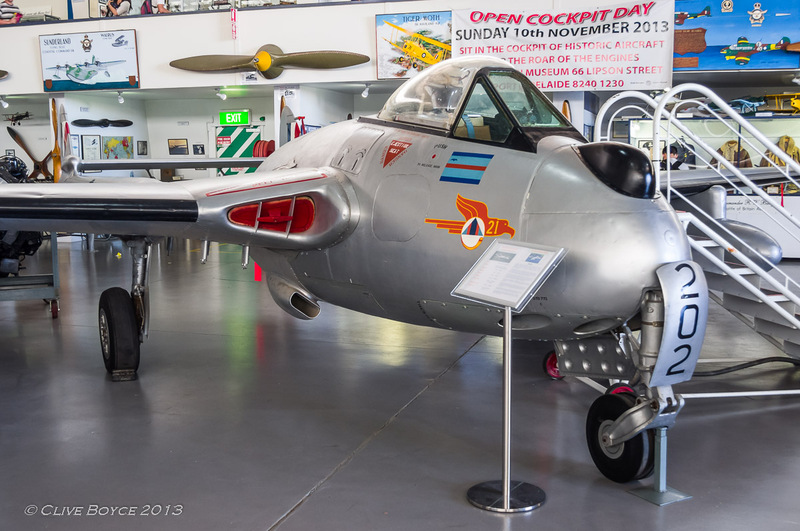 The Vampire was the first jet fighter used by the RAAF, and 190 of the type were produced at Bankstown, NSW. It was introduced into service in 1949 and ended up mostly being used for jet training. It’s an odd looking beast with a centre fuselage pod for the pilot and single jet engine, and twin booms back to the tail control surfaces. The jet exhausted between the twin booms. 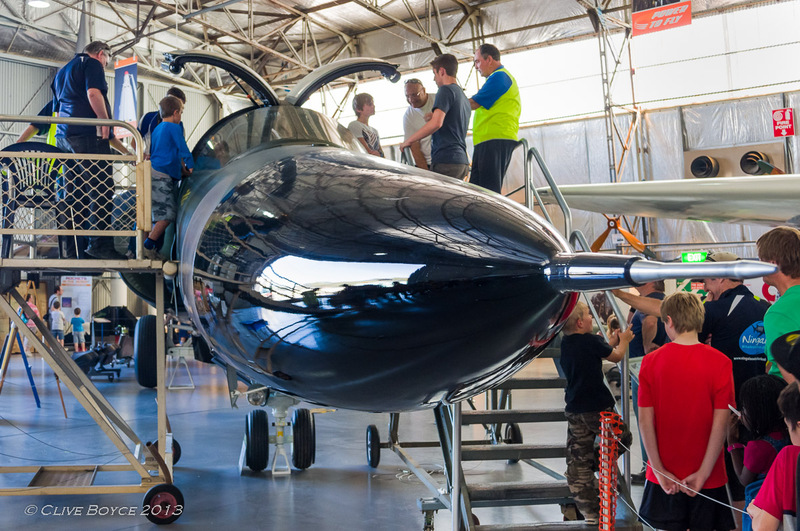 Construction was a blend of a laminated wooden fuselage and aluminium wings and tail booms – continuing the tradition of wooden construction from the De Havilland Mosquito. This particular aircraft spent the 1960’s on the front lawn of the SA Air Training Corps at Barton Tce, North Adelaide. As a wee young chap, I would pester my father to drive past it whenever we were in the area. One day it disappeared and I never knew what became of the plane until this visit to Port Adelaide. 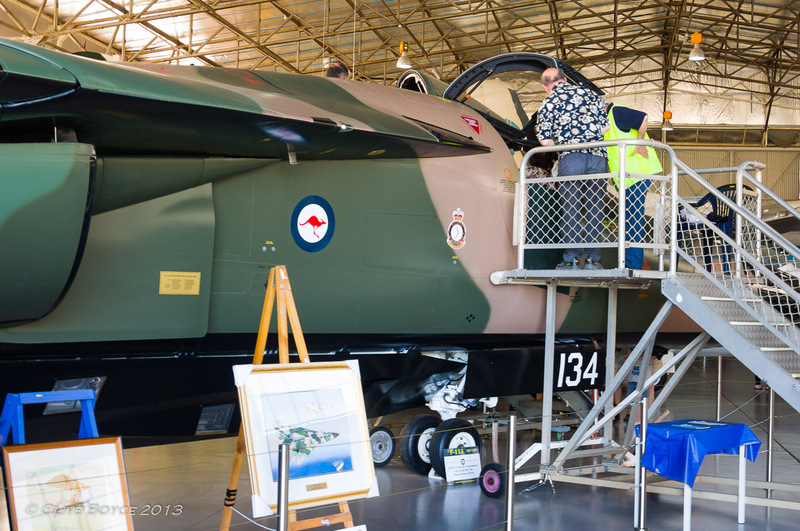 Apparently it was relocated to Victoria in 1969 and returned to South Australia in 1989 when acquired by the museum. English Electric Canberra WK 165. 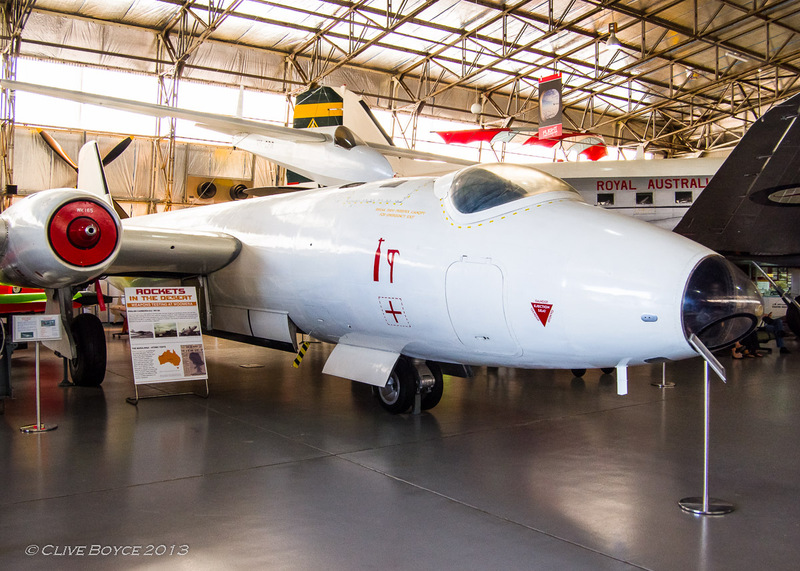 Designed to be a light bomber, the Canberra was also used for photo-reconnaissance and radar training. 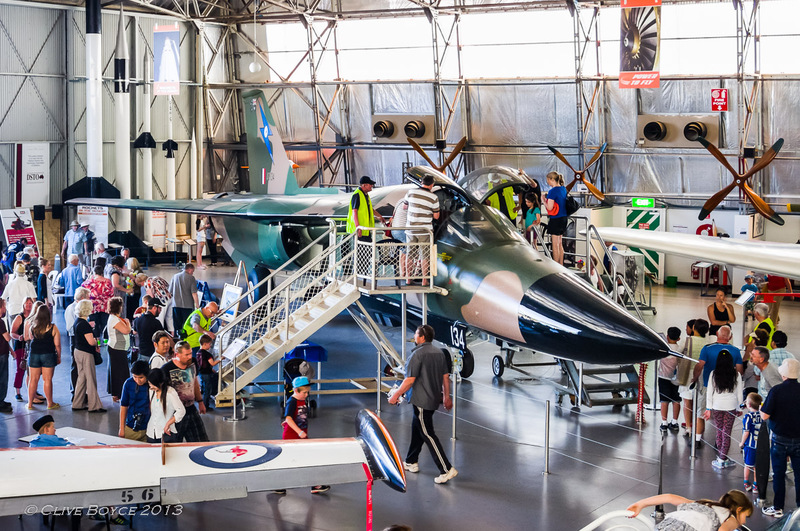 This particular aircraft commenced its operations with the RAF in 1955, but a year later was transferred to the Woomera Test Grounds in outback South Australia for use in weapons research until retired in 1969. It’s a long skinny thing. 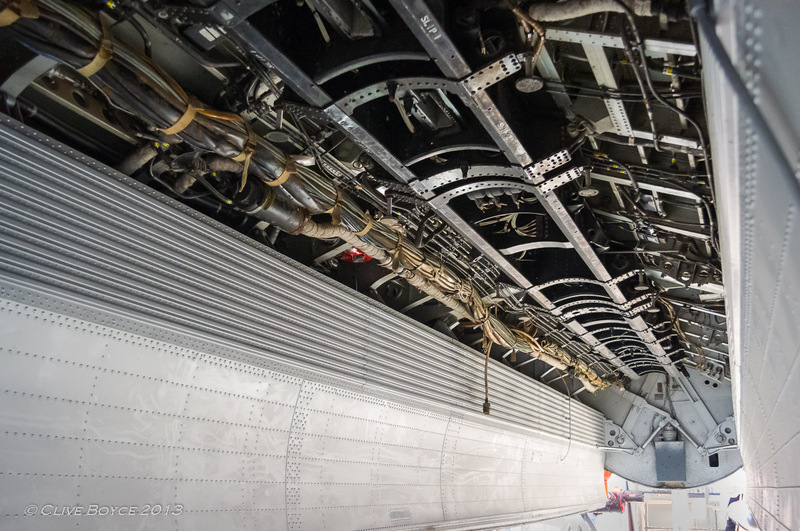 The Canberra’s bomb bay. Given this particular aircraft’s long research role, it looks like the bomb racks have been removed at some point in its life. 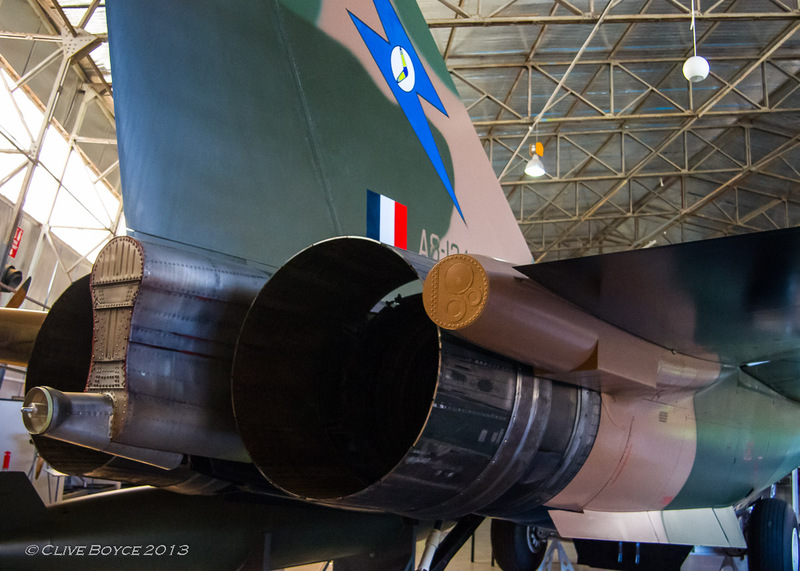 RAAF General Dynamics F-111C Fighter Bomber. While entry to the museum was free, a sit in the F-111 cockpit cost $3. With the steady line up for the opportunity, I suspect the museum made more money from this than a quieter day’s entrance takings. Up at the pointy end. And down at the noisy end. The F-111’s were always popular whenever they turned up for aerial displays at air shows and motor racing events. Their party trick was to light up fuel dumped from a tail nozzle. Always a spectacular sight (and seriously loud) . Fatter exhausts than any ridiculously modded Japanese buzz-box car is ever going to have! 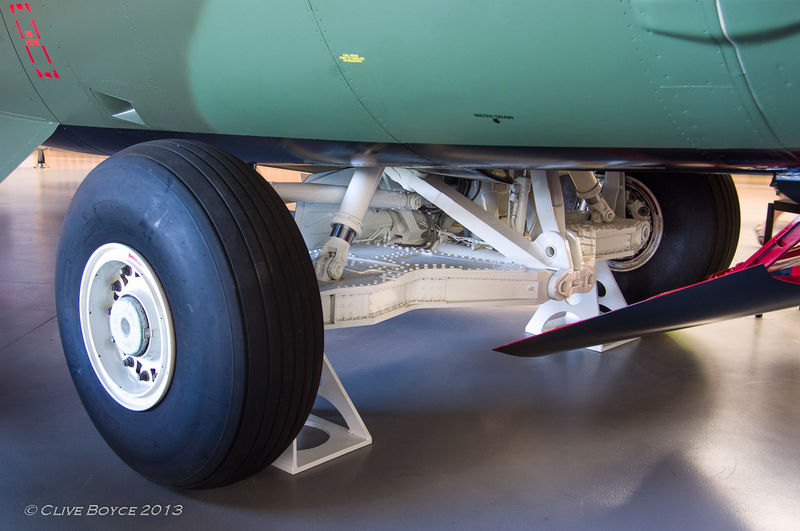 The F-111’s main under-carriage. I’ll leave it to you to work out how this was retracted up into the fuselage after take-off.